A woman was expected to do many things. A few of these things are sewing, cooking, washing, and taking care of children. 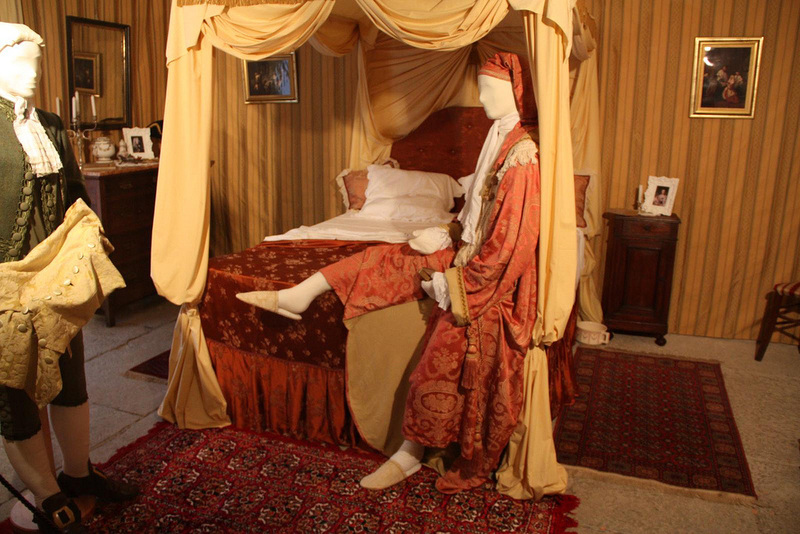 In the picture to the left there is a model of a colonial bedroom. On the bed is a woman and standing close by is a colonial man in full dress. Obviously this is a little too clean for the colonies but it is accurately designed.